Adding photos to categories is fast. Just type the first few letters, and Shoebox will fill in the rest. If there are several matching categories, you can choose the one you want from a list. 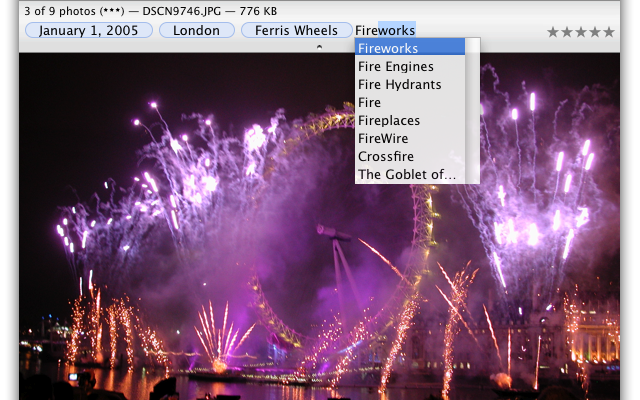 If you don't already have a category for what's in the picture, you can also create new categories on the fly.